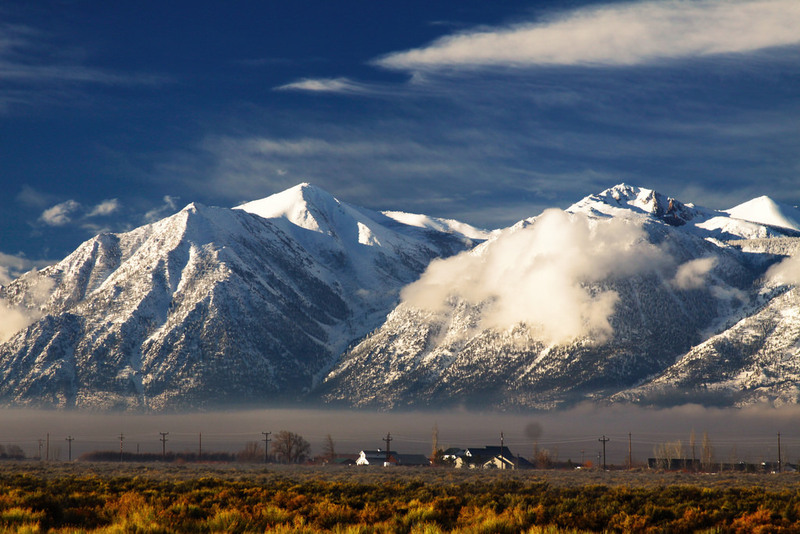 I went out to Carson River Canyon to give a tow to someone stuck in the mud. 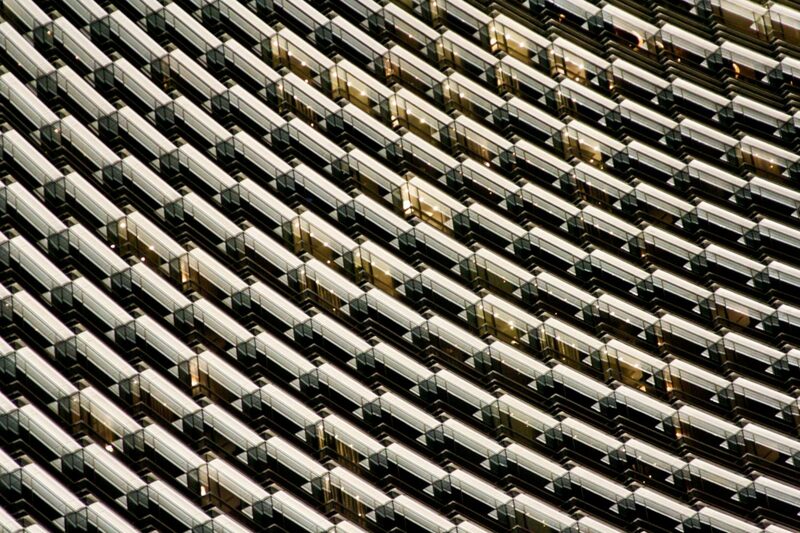 And as long as I’m out there might as well get some pictures, eh? Fridays are Park Days. 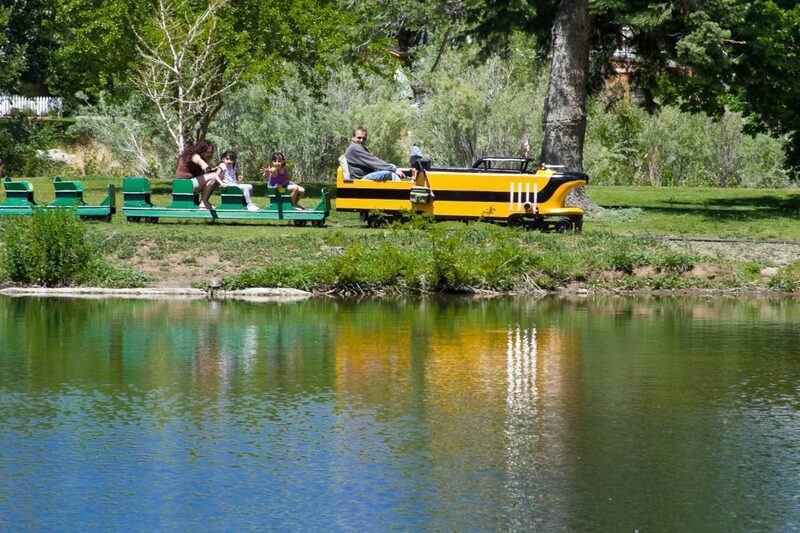 We have a little playgroup that meets at Idlewild Park in Reno. Usually the kids are happy in the playground, but sometimes they want to wander around. Especially when the train is running, like it was yesterday. 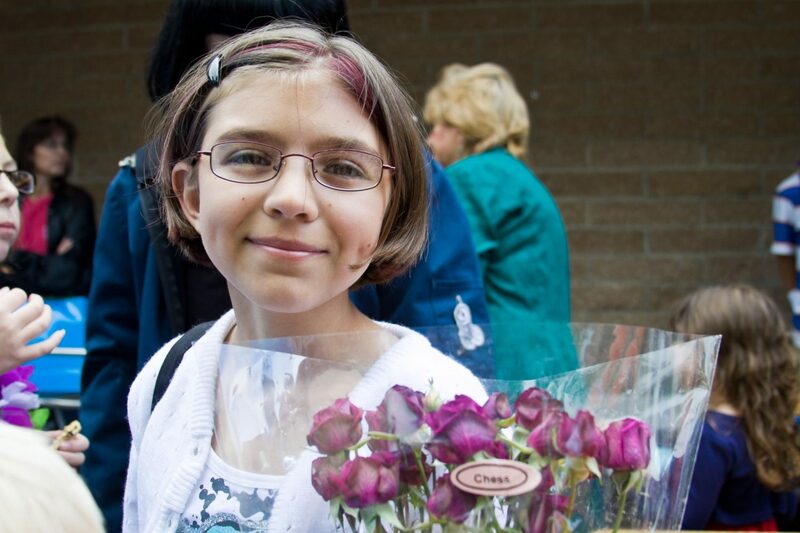 On June 4, 2010, my niece Keirra graduated from elementary school. Next year she’ll be heading on to Junior High. 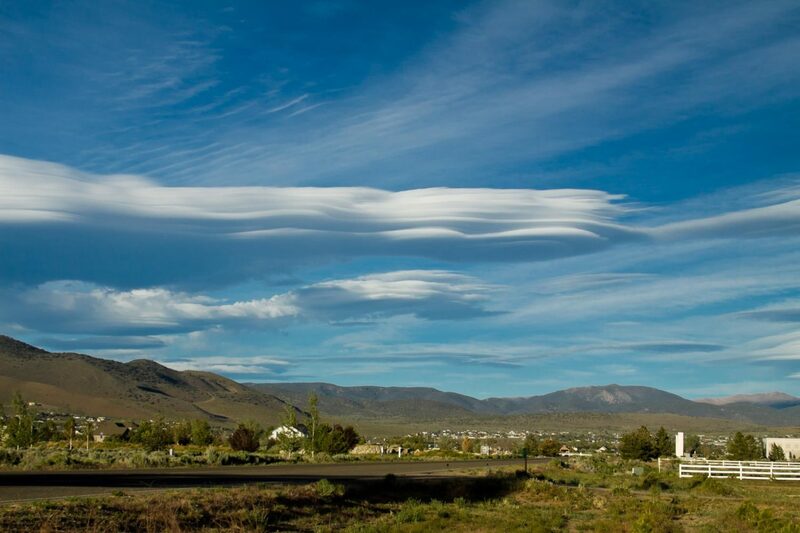 We get some of the wildest lenticular clouds over Western Nevada. 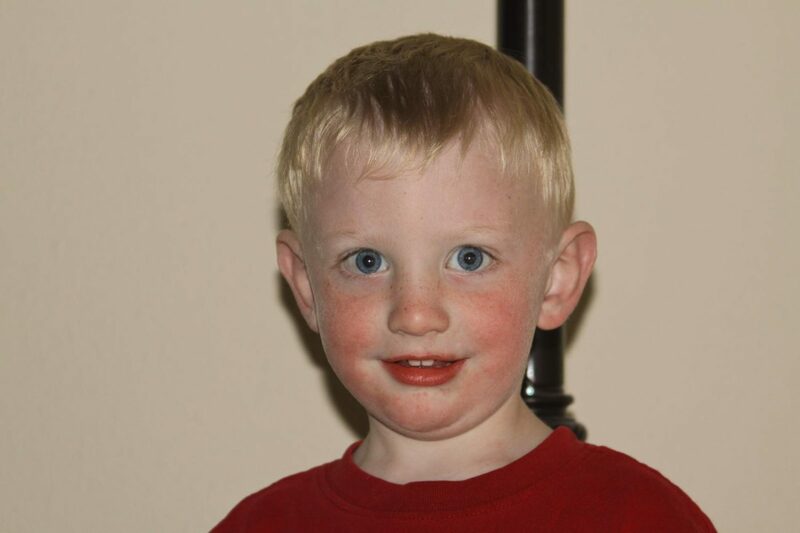 May 29, 2010. V&T Engine #29 arrived in Carson City to kick off the 2010 railroading season. 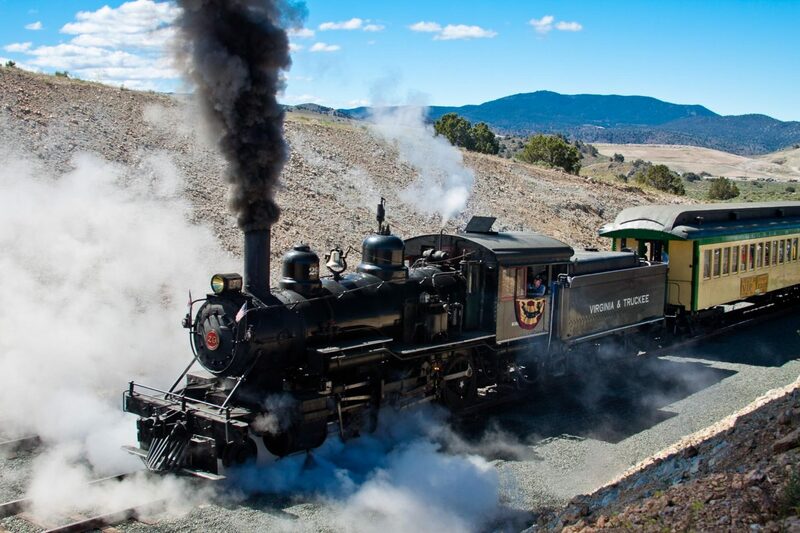 In the chilly morning air it made quite the spectacle of steam and smoke as it strained to get underway while hauling 144 excited passengers back uphill. Here are a few photos of the show. 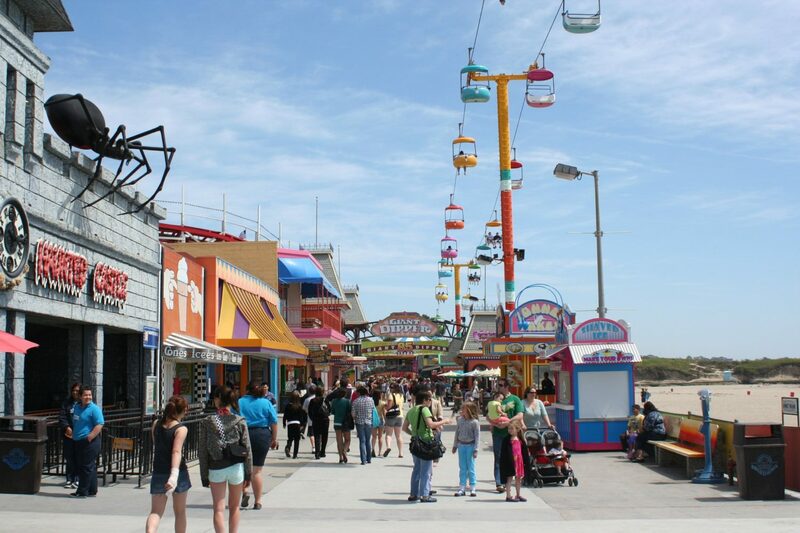 Last spring we went to the Santa Cruz Boardwalk, one of the last seaside amusement parks on the West Coast. 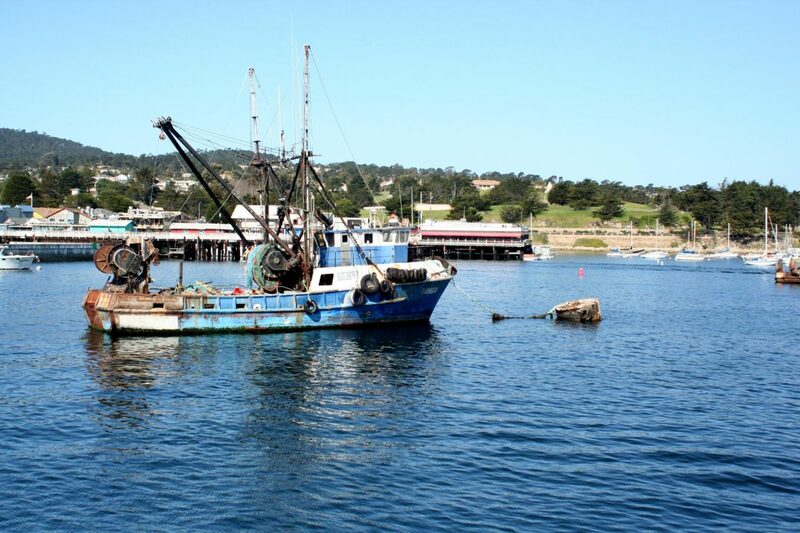 A look back at a vacation we took to Monterey last spring. 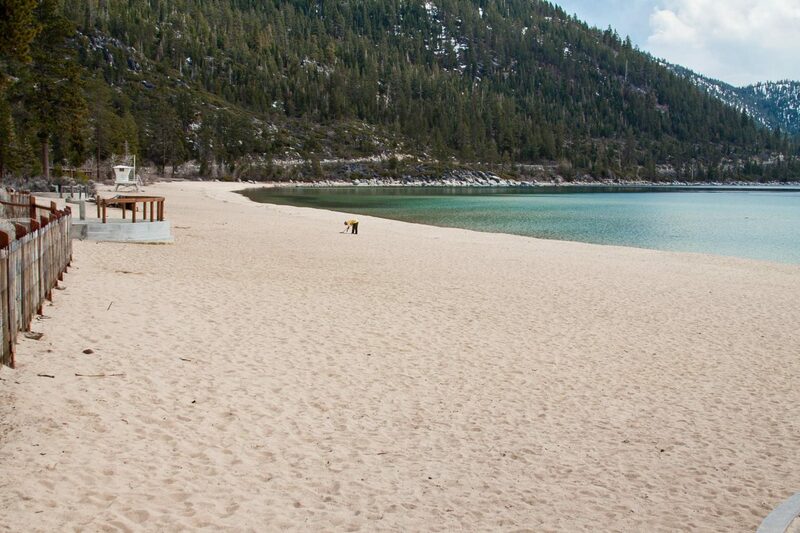 Sand Harbor is one of the most popular beaches in all of Lake Tahoe. Its remote location, miles away from the casinos on a winding two-lane road, does nothing to stop people from flocking here on warm summer days and filling up the beach. Every fall this is also the home to a Shakespeare festival, with a permanent stage built just a few dozen yards from the water’s edge. From our vacation in February. 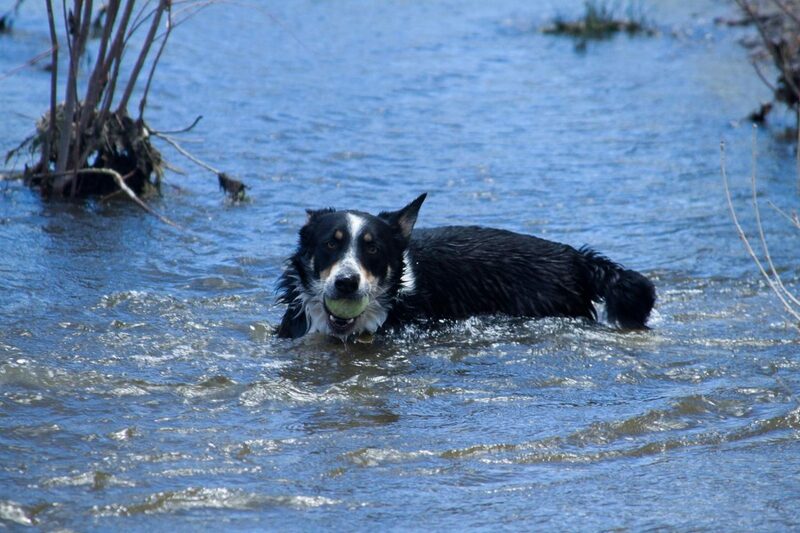 Baxter doesn’t spend a lot of time around water, but when he does go he’s like an old pro. 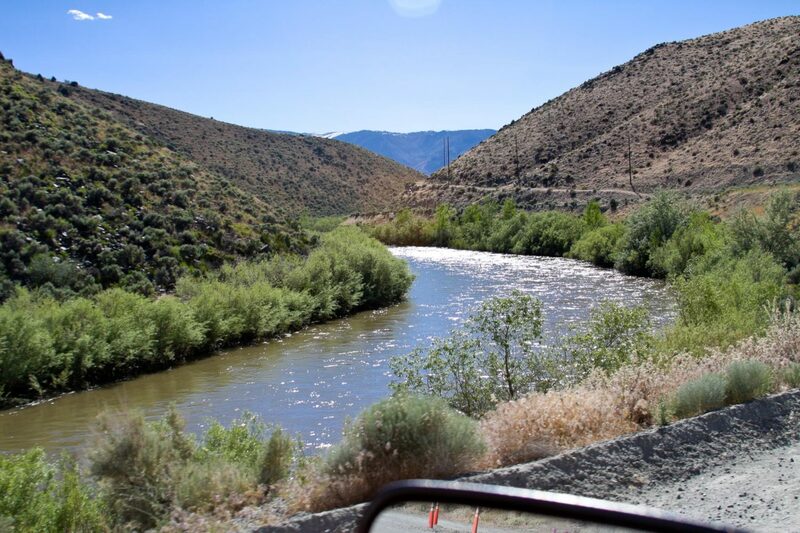 The other day we went down to Riverview Park in east Carson City, a series of trails that meander by the Carson River. 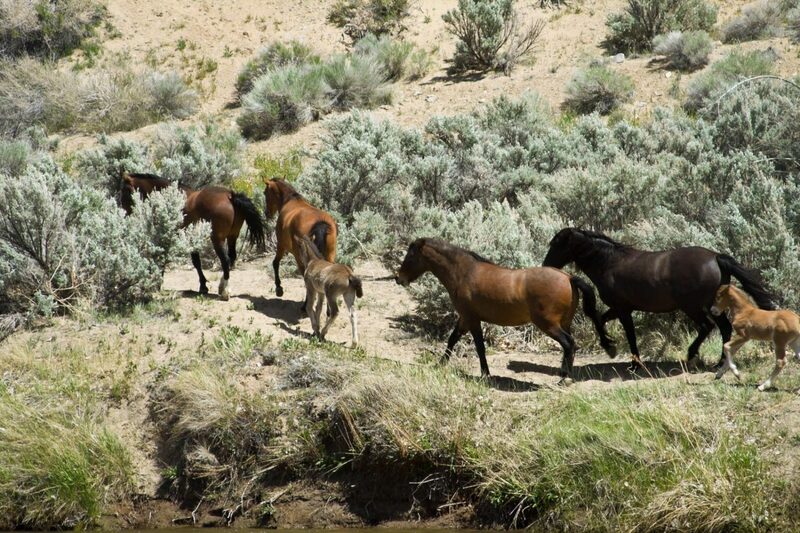 While we were there we saw this herd of wild horses on the other side of the river. They didn’t wait around to pose for pictures, but I snapped a few while they were running off. Sometimes when I’m at work I’ll come out of the door and run face-to-face into a herd of deer. 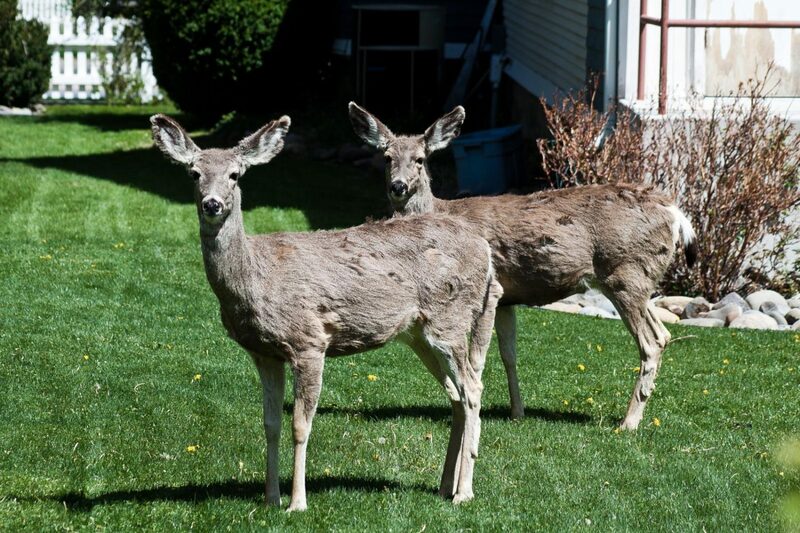 The deer like to hang out in Carson City because there are a lot of green backyards with plenty of flowers and berries. The hills right outside of town are still recovering from a major fire six years ago, and foraging up there can be hard. So the herds come down to town and hang out. You see them in a lot of yards around town, but our yard seems to be a favorite. They come visit at least two or three times a month. Jack decided he was ready to pose for the camera. 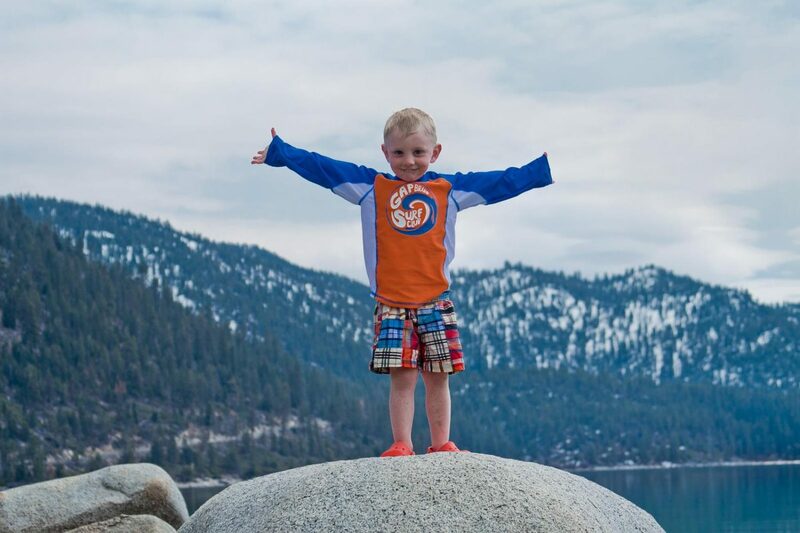 To go along with Sam’s pictures at Sand Harbor, Lake Tahoe, here are Jack’s from the same day.